In total we’ll have more than 40 speakers during one week, combined with speedlabs, debates, and R&D pitches. And during the last day, Guy Kawasaki will be part of our VC debate and Buyers Panel. As you have probably noticed, in my private life and endeavors (such as the Think Tank for Long Term Future), i am blurring the lines between real and virtual, between flesh & bone human and robots. As a matter of fact, i am also blurring the lines between job and private here, and i don’t see anything wrong with it. What about virtual reality in a business context ? Welcome to project Wonderland from Sun Microsystems. They will do during Innotribe @ Sibos a demo on the Virtual Bank Branch Office. In the meantime , have a look at below 2 videos, that once again proof how fast our real and virtual worlds are merging. But this sort of stuff and skills is really were we as a society should put stimuli and scholarships for our net.generation to be ready for 2030. Those who are 20 today will be 40 by then and our next leaders. First time i see things like federation of worlds. I already heard about federated identities, federated clouds, federated services, but this ? No, not yet. Oh yes, you can also restore a world in his previous state. However, i still find that the user is forced into the developers mind of properties, cells, etc. No way i can explain this to my dad. It’s like the first time you see Windows: only if you get used to it, you start making sense out of it. You adapt to the programmer’s mind. Thanks to Amir for providing me the links. Thanks to xstof (again ;-), I discovered daily galaxy site. The first about robots developing at warp speed. Hans Moravec, pioneer in mobile robot research and founder of Carnegie Mellon University’s Robotics Institute. Yes, again that Carnegie Mellon University. Whilst today, these robots are barely at the lower range of vertebrate complexity, they could catch up with us within a half century." 2010: A first generation of broadly-capable "universal robots". 2015: Utility robots host programs for several tasks. 2020: Universal robots host programs for most simple chores. 2030: Robot competence will become comparable to larger mammals. In the decades following the first universal robots, a second generation with mammallike brainpower and cognitive ability will emerge. They will have a conditioned learning mechanism, and steer among alternative paths in their application programs on the basis of past experience, gradually adapting to their special circumstances. A third generation will think like small primates and maintain physical, cultural and psychological models of their world to mentally rehearse and optimize tasks before physically performing them. A fourth, humanlike, generation will abstract and reason from the world model. Many more video material from Carnegie here. But in essence, it’s all about the changing nature our own real and perceived identity in a digital world. I should drop the word “digital”, as young people see this as “old-mans-wording”. They not talk about a “digital” camera. It’s just a camera. It’s our “world”. The other article is about Project Blue Brain. A bit scary is the statement: ""We cannot keep on doing animal experiments forever," That is Mr. Markram during this month’s TED Global Conference at Oxford, England. … a simulation that recreates the activity of a human brain may produce ethical concerns. Technically a computer that recreates a rat brain would raise similar issues but, as you’re about to see, these guys don’t have any sympathy for rats. With the ability to simulate the effects of rewiring, drugs or external electric fields at an individual neuron level we can investigate enhancements (such as new senses, new cognitive modes or neuroelectric interfaces) without all the inconvenient "human rights violations" and "Crimes against humanity" such research normally entails. We could improve our own minds – and since we’ll have just invented a silicon model operating at computer speeds in a bulletproof shell, we’ll have to. Again, this is one of the key purposes of our Think Tank: what if all this (technological evolutionary exponential explosion) happens, what are the consequences for our value kit for the future ? For our personal and corporate values, for our ethical context, for the way we want to be human ? And also, how do we prepare the future generation of leaders for this radically different world ? Why can we from Europe not set-up this sort of stimulating initiatives for our Net Generation (or Generation Y or Generation M) to prepare the next generation of leaders to be ready for 2030 ? I have a couple of days off, so we can have some lighter (albeit) subjects. And then click on the link to disturbingly-real-replicants-from-hanson-robotics, and enjoy scary Einstein robot (Video also below). Man, this is really creeepyyyy ! It’s funny when he says at minute 1:20 “Hello, my name is Albert Einstein, i am a physicist”. Would love to hear a trance or techno mix with this sound sample 😉 Gunbee, xstof, Maurice: want to give it a try ? Could be a big hit ! And then there is Zeno Robokind. For Robokind, wait till minute 3:40 or so, when he/she ? awakens and starts asking questions of life like “Who am I ?” and “What is my purpose ?”. Or also “save the world from the evil” and “…allow users to explore the world of 2029”. Thanks to my twine.com subscription to “Technology Trends”, i found this. You can read the related article here. In case you doubted that man-machine are blurring more and more everyday. Something is going on at Carnegie Mellon University. Just a couple of days ago, my friend xstof twittered about claytronics research at Carnergie. It’s about programmable matter. Not really sure what to image ? Have a look at the following video. This model car is made of programmable matter ! On reflecting about the long term, panelists will review expectations and uncertainties about the development of increasingly competent machine intelligences, including the prospect that computational systems will achieve “human-level” abilities along a variety of dimensions, or surpass human intelligence in a variety of ways. The panel will appraise societal and technical issues that would likely come to the fore with the rise of competent machine intelligence. For example, how might AI successes in multiple realms and venues lead to significant or perhaps even disruptive societal changes? Also in this context, the AI lab of the Carnegie Mellon University was mentioned. From killing to empathy is only a small step in the NYT article. Here is a robot showing empathy when you have diarrhea. If you want some more serious stuff on this subject, i can really recommend the book “Beyond AI – Creating the conscience of the machine” by J.Storrs Hall, PhD. He talks about different “Kind of Minds”: Hypohumans, Diahumans, Epihumans, Hyperhumans. 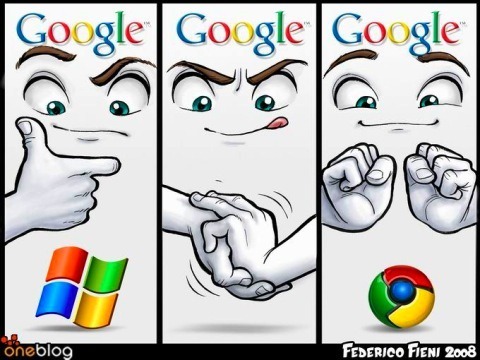 Google: Microsoft all over ? There are 2 recent interesting posts on Google becoming too big. Anil Dash had this post about “Google’s Microsoft Moment” on July 9, 2009. It’s all about the idea that Google’s self-proclaimed identity of “Don’ be evil” does not match some realities of monopoly. Also, some of its behaviors start smelling Microsoft’s way of doing things in the old days. 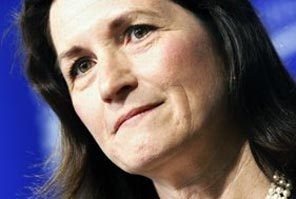 Another great and quite in-depth article is in Wired about Obama’s Top Antitrust Cop Christine A. Varney. The intro of that posting says its all: "I think you are going to see a repeat of Microsoft." Red highlighting by myself. Christine Varney’s blunt assessment sent a buzz through the audience at the National Press Club in Washington, DC. Varney, a partner at Hogan & Hartson and one of the country’s foremost experts in online law, was speaking at the ninth annual conference of the American Antitrust Institute, a gathering of top monopoly attorneys and economists. Most of the day was filled with dry presentations like "Verticality Regains Relevance" and "The Future of Private Enforcement." But Varney, tall and professorial, did not hide her message behind legalese or euphemism. The technology industry, she said, was coming under the sway of a dominant behemoth, one that had the potential to stifle innovation and squash its competitors. The last time the government saw a threat like this—Microsoft in the 1990s—it launched an aggressive antitrust case. But by the time of this conference, mid-June 2008, a new offender had emerged. "For me, Microsoft is so last century," Varney said. "They are not the problem. 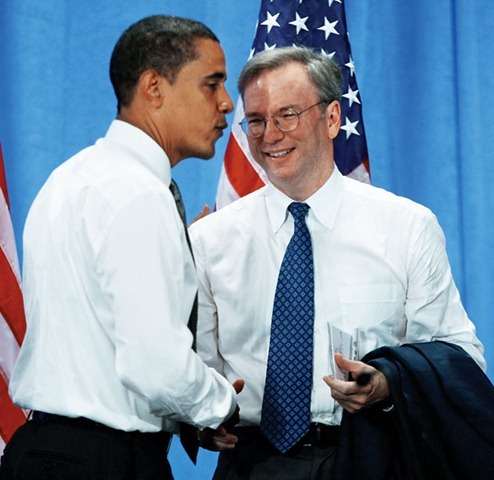 I think we are going to continually see a problem, potentially, with Google." Google is playing nice so far. Its public policy blog soothingly acknowledges regulators’ concerns. "As Google has grown," it reads, "the company has naturally faced more scrutiny about our business principles and practices. We believe that Google promotes competition and openness online, but we haven’t always done a good job telling our story." Schmidt is a regular presence in Washington; he served as a member of Obama’s transition team and now sits on his technology advisory council. And publicly, Schmidt welcomes the oversight. "We understand the role here," he says. "We are not judge and jury." But that doesn’t mean Google will neuter itself to please the government. Just like Gates before him, Schmidt says he has no plans to change his company’s trajectory in the face of regulatory challenges. Microsoft’s belligerence was a function of its will to power, a refusal to believe that the government had the authority or intelligence to take it down. Google still thinks it can get regulators to see it as it sees itself: not as a mere company but as a force for good. And what about Mozilla’s Firefox ? Now that Google has launched it Chrome Browser and had announced it’s own Chrome OS, doesn’t all this look so similar to Microsoft killing Netscape ? One of the big differences is that Microsoft was not funding Netscape, whereas a big part of Mozilla’s revenues seem to come from Google. The contract seems to run till 2011, but in essence they exist by the grace of Google. Mozilla and Google have long had an agreement that makes Google the standard home page when people start Firefox, and sends them to Google when they type something into the search box at the top of the browser. Google pays Mozilla hefty fees in return. Have this great article in the New York Times following a press update as Mozilla moved offices away from the shadow of the Google campus. “Bingo” ? 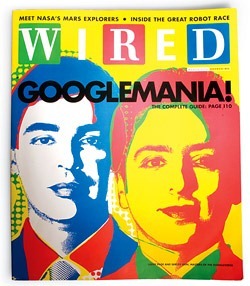 Could he foresee Microsoft’s rebranding of their search engine into Bing ? This thing hit me in my face. It’s so right-on. So much in line with what i believe we should do about our value kit to survive the huge changes that will be caused by exponential technology progress. This is the Generation M manifesto ! You wanted an invisible hand — it became a digital hand. Today’s markets are those where the majority of trades are done literally robotically. We want a visible handshake: to trust and to be trusted. Go and read the full manifesto ! All this comes from a really smart guy. Umair Haque. He is Director of the Havas Media Lab, a new kind of strategic advisor that helps investors, entrepreneurs, and firms experiment with, craft, and drive radical management, business model, and strategic innovation. Prior to Havas, Umair founded Bubblegeneration, an agenda-setting advisory boutique that helped shape the strategies of investors, entrepreneurs, and blue chip companies across media and consumer industries. Bubblegeneration’s work has been recognized by publications like Wired, The Red Herring, Business 2.0, and BusinessWeek, and in Chris Anderson’s Long Tail, to which Umair was a contributor. Umair plans to open-crowdsource the manifesto. It already started here. Something is going on. This is a movement that swells in power. It’s about doing stuff that matters.